Cheryl Boyce Taylor reads poems from her new book, Arrival, at the Five Myles Gallery in Brooklyn on June 14, 2017. Thanks to Five Myles Gallery and Donna Lee Weber for the video footage. Arrival is a love story between a mother and her daughter. The poems are road maps connecting one generation to another. The narrative begins in 1950 with a woman who is pregnant with twins. In her seventh month she delivers a still-born boy, and a baby girl weighing less than two pounds. During this tumultuous period the father leaves the family and has an affair. At thirteen, the girl is sent to live with her aunt in America leaving her mother behind in beautiful Trinidad. A hybrid dialogue ensues when she finds herself caught between two worlds. She switches back and forth from dialect to Standard English, searching for her spiritual center in a body that’s losing parts of itself to diabetes. Twenty years later she gives birth to twins, only one baby survives. With her mother’s love and support she becomes a poet and a productive member of her community. Cheryl Boyce-Taylor is a poet and workshop facilitator. The recipient of the 2015 Barnes and Noble Writers For Writers Award, she is the founder and curator of Calypso Muse and the Glitter Pomegranate Performance Series. Cheryl earned an MFA in Poetry from Stonecoast: The University of Southern Maine, and an MSW from Fordham University. She is the author of four collections of poetry: Raw Air, Night When Moon Follows, Convincing the Body, and Arrival. 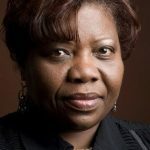 A poetry judge for The New York Foundation for the Arts, and The Astraea Lesbian Foundation for Justice, she has facilitated poetry work-shops for Cave Canem, Poets & Writers, and The Caribbean Literary and Cultural Center. Her poetry has been commissioned by The Joyce Theater and the National Endowment for the Arts for Ronald K. Brown: Evidence, A Dance Company. A VONA fellow, her work has been published in Poetry, Prairie Schooner, Aloud: Voices from the Nuyorican Poets Cafe, Pluck!, Killings Journal of Arts & Letters, and Adrienne. Her life papers and port-folio are stored at the Schomburg Center for Research in Black Culture in NYC.